The Royal Scottish Academy (RSA) in Edinburgh has been like a second home to me for the past 12 years, as I have worked within it’s walls in almost every capacity possible, most recently, co-ordinating the Annual Exhibition of the Society of Scottish Artists (SSA) and helping out with Visual Arts Scotland’s (VAS) Annual Exhibition. Now that I have moved to France to set up Studio Faire, I am eager to stay in contact and continue to support these prestigious Scottish arts societies and so we have decided to offer a new award at this year’s SSA & VAS Annual Exhibitions. The Studio Faire Residency Award at Visual Arts Scotland & Society of Scottish Artists Annual Exhibition: OPEN 2018. Studio Faire is a new contemporary art centre in South West France, providing residencies for artists, writers, musicians and all other creative practitioners. The Studio Faire Residency Award is a one month Artist Residency at Studio Faire and includes accommodation, studio space, travel expenses from Scotland, a photo shoot and a public showing of their work. 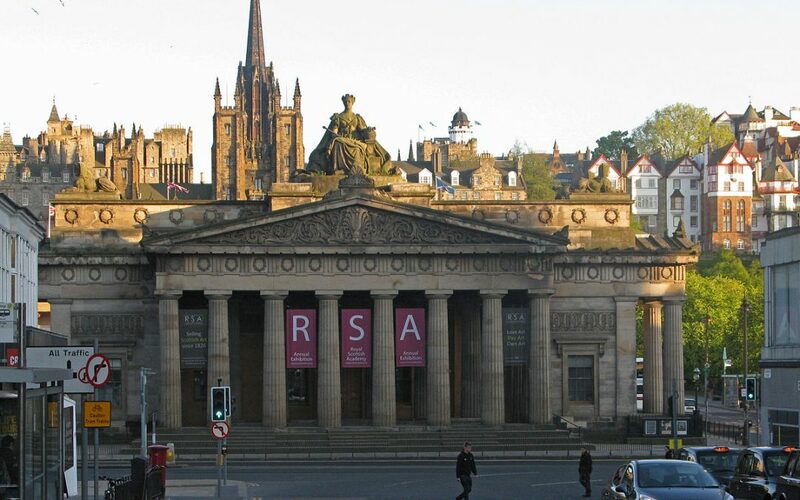 This prize is only available to artists exhibiting at OPEN 2018 in Scottish National Galleries RSA Buildings in Edinburgh, Scotland from 29 January – 8 March 2018, which SSA & VAS claim is the ‘biggest show of contemporary art in Scotland.